The six McQuay-Norris Streamliners produced in 1934 were built to be driven by McQuay-Norris engine component sales representatives. 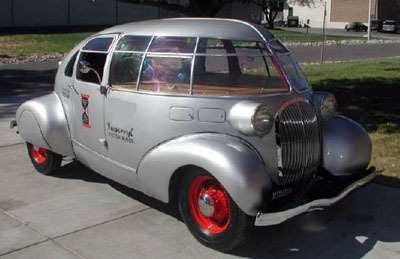 As well as advertising the company, McQuay-Norris used the Streamliners as test-beds for new engine components, and for this purpose the interior was fitted with many dials and instruments to monitor performance and engine condition. 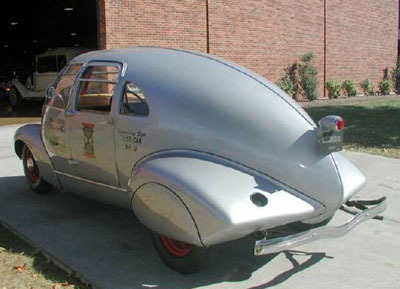 The McQuay-Norris Streamliner's chassis and running gear were based on a Ford V8, and the aerodynamic bodywork was made from steel and aluminium attached to a wooden frame. The curved windows were made from Plexiglas.